Mare Barrow’s world is divided by blood—those with red and those with silver. Mare and her family are lowly Reds, destined to serve the Silver elite whose supernatural abilities make them nearly gods. Mare steals what she can to help her family survive, but when her best friend is conscripted into the army she gambles everything to win his freedom. A twist of fate leads her to the royal palace itself, where, in front of the king and all his nobles, she discovers a power of her own—an ability she didn’t know she had. Except . . . her blood is Red. To hide this impossibility, the king forces her into the role of a lost Silver princess and betroths her to one of his own sons. As Mare is drawn further into the Silver world, she risks her new position to aid the Scarlet Guard—the leaders of a Red rebellion. Her actions put into motion a deadly and violent dance, pitting prince against prince—and Mare against her own heart. 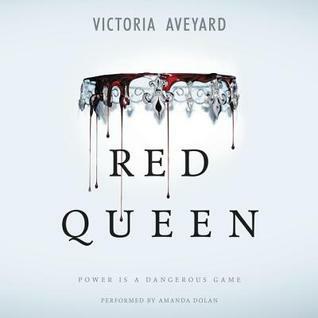 From debut author Victoria Aveyard comes a lush, vivid fantasy series where loyalty and desire can tear you apart and the only certainty is betrayal. Red Queen is a book of political intrigue and revolution, focused on the rift between the Reds and the Silvers. While Re Queen was a fun read i found that it didn’t bring anything new to the table. The world-building for Red Queen is almost there, but never quite gets around to answering some of those big questions I had. Silvers are the upper class, separated by their silver blood and their strange abilities. The abilities are definitely really awesome, but I have no clue why they have them or why Mare develops her own. I really liked the overall world that Mare lives in, and the idea of a super powered higher class…but it’s unfortunately something I’ve seen in other books. However, I did enjoy the overall writing style though as it’s quickly paced and Aveyard let’s her characters lead the way. The characters are where my biggest problem lies. As much as I wanted to love Mare, I could only get myself to like her. She’s sort of…one note and reminds me of a basic version of several other dystopian heroines. Even after a few days of finishing the book I found myself having issues conjuring up what exactly she was like. It didn’t help that instead of focusing on her as a person,especially the person with whom the revolution is connected to, it focuses on her relationships with two princes and her best friend back home. I’ll never get why love geometry is a thing…like is it too much to ask to simply be friends? Not everyone has to fall in love during the single most stressful time in their lives. I’m definitely interested in seeing how the story plays out because there are some great villains that don’t get enough page time in this one and the rebellion story, while not mind shattering, is pretty good and holds a few promises of surprises to come. But overall I found that this one lacked the depth I needed to truly enjoy it, though it’s certainly fantastic for those who enjoy lighter fantasy fare. 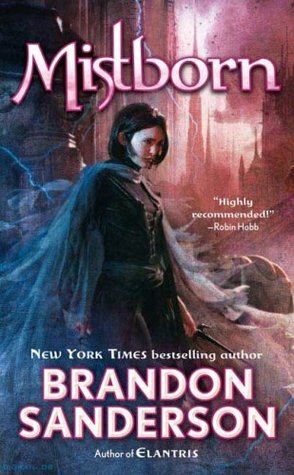 Image | This entry was posted in Book Reviews (2015) and tagged 3 stars, audiobook, dystopia, fantasy, review, sci-fi, young adult. Bookmark the permalink. I totally agree about the world building. That was one of my biggest issues with this book. That and the romance, which was out of control. I called it a love quadrangle in my review. Plus I also felt it was a bunch of books I’ve read thrown together (Hunger Games, Divergent, Throne of Glass). And I agree, I wasn’t a lover of Mare. She was just ok. Nothing to stand out, nothing to love about her. So I was annoyed that it was as original as I would have liked. I did enjoy it enough to want to read the next one, though. Yeah, I thought it was really lacklustre too Michelle, it just didn’t feel like it lived up to the hype. I mean the Reds and Silvers are in a war, but WHY besides from the general rich poor divide? There felt like so much missing.